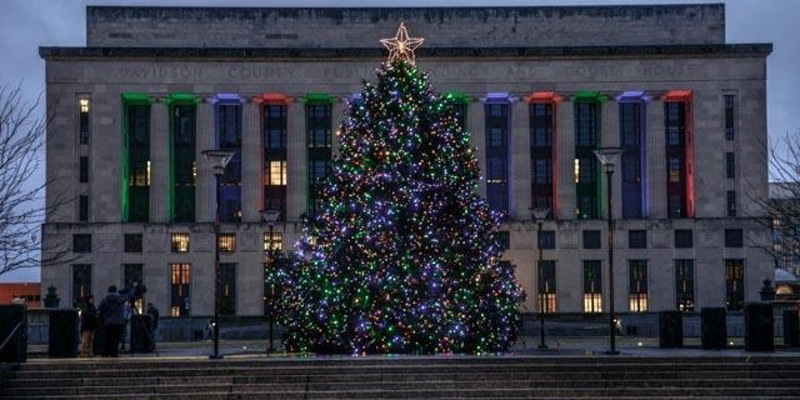 Even if you’re putting off decorating your home for Christmas just yet, this is the best week to get into the spirit of the season here in Nashville, at the city’s big Tree Lighting ceremony and Nashville Christmas Parade. Both are free, festive and fun, and since it’s Nashville, both feature world-class live music to complement the twinkling lights and fuzzy hats. Mayor Megan Barry presides over Music City’s annual Christmas Tree Lighting this year, held in Public Square Park downtown. Our tree may not be Rockefeller Center-sized, but it’s impressively beautiful every year, and the lighting ceremony is always a family-friendly blast. On Friday, Mayor Barry will be joined by swiftly on-the-rise, East Nashville-based country singer Margo Price, along with the West End United Methodist Church, W.O Smith School and Nashville School of the Arts choirs (who’ll provide some holiday classics to set the mood). The District Bar & Kitchen will provide hot beverages and snacks, and mascots from the Nashville Predators and Nashville Sounds will be on hand too to add Christmas… “cheer”? More at Nashville.gov. 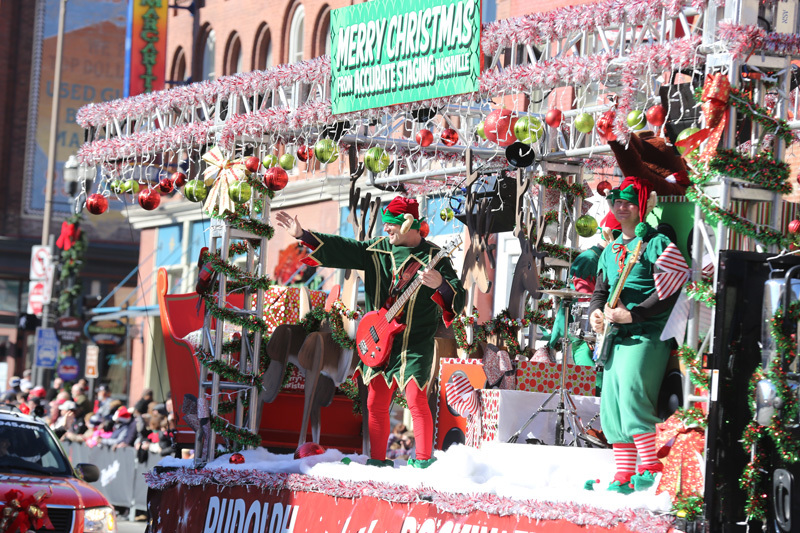 Nashville’s annual Christmas Parade has helped usher in the season here since 1927, and through the years, A-list entertainers from Kitty Wells to Vince Gill have served as Grand Marshal, leading the charge of festive performances, floats and balloons through downtown. 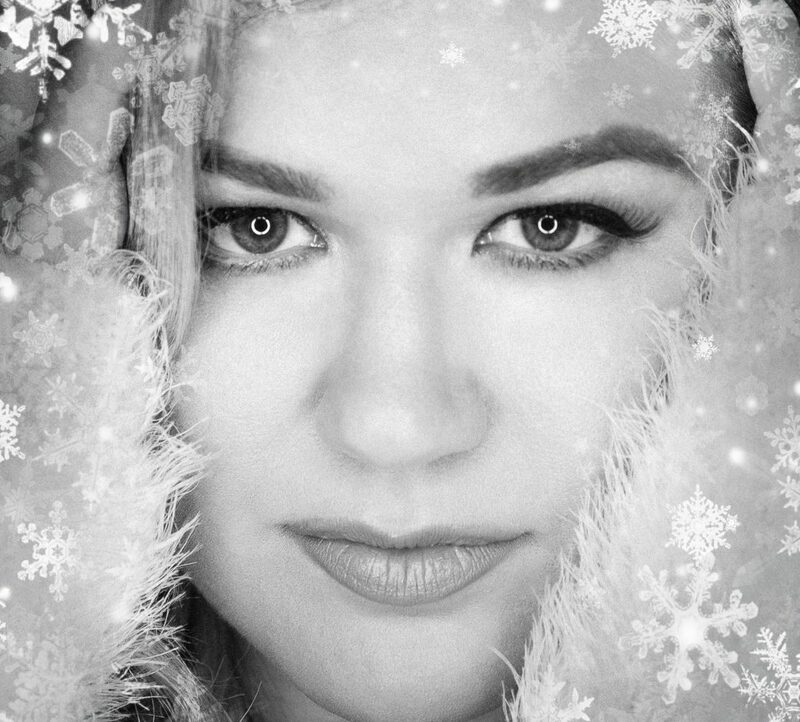 This year, pop superstar Kelly Clarkson takes the job, and she says she “couldn’t be more proud” to ring in the season with thousands of her Nashville neighbors and lots of other talent, including fellow pop voice Gavin DeGraw, country singers Jo Dee Messina and Aaron Tippin and many others. You can choose to watch the bright, beautiful parade from home (it’ll be televised live by WKRN News 2), but it’s fun to get out in person and watch the celebration march on along its mile-plus-long route downtown (it heads east down Broadway to Second Avenue North, then winds up to the base of the Woodland Street Bridge). It’s free to watch there from along the route, but you can also buy tickets to get up close to the action — Broadcast Zone Admission Seating runs $50-$65. Maybe the best reason to celebrate this event: All proceeds go to help the Monroe Carell Jr. Children’s Hospital at Vanderbilt and Piedmont Natural Gas’ community aid program, Share the Warmth. More at nashvillechristmasparade.com. Hope these events help you cap off the week awash in holiday cheer. And if you’re looking for a new Nashville home to trim your tree in, please let us know if we can help you find it!